Newspaper with links to Hezbollah boasts "Only Hizbullah can make bombs that blow up Israelis." Two blasts that wounded four Israeli soldiers on the border with Lebanon were in fact an "ambush" set by Hezbollah, the Lebanese daily Al-Akhbar reported on Thursday. The explosions hit the patrol on Wednesday when the troops crossed the border into southern Lebanon, parts of which are controlled by the Shiite movement. "The enemy blundered when they violated the border with Lebanon, and fell into a trap that only the resistance could set," said the newspaper, which has links to Hezbollah. "Only Hezbollah can make bombs that blow up Israelis" when they pass by, it said. Hezbollah, which has close ties to Iran and the regime in Syria, is considered Israel's arch-foe, and the two fought a brief but bloody summer war in 2006. "The Israeli unit fell into a well-set ambush and the enemy found itself faced with a difficult question: 'How did Hezbollah know we were there?'" the daily wrote. "The ambush is a dangerous failure for the enemy because it shows that Hezbollah has an intelligence structure that allows it to know when a patrol arrives, its route and to set a trap for it," it added. “That means the resistance is prepared for every eventuality, in case of confrontation on a wider scale or in case of a general conflict." 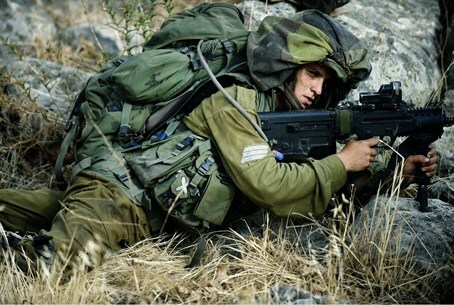 The Lebanese army said four Israeli soldiers were wounded by explosions 400 meters inside Lebanese territory. Israel's military confirmed the toll without specifying what side of the border the soldiers were on as they were "carrying out nighttime activities in the Lebanese border area when the explosion occurred". The soldiers were members of an elite unit, Israeli public radio reported. A UN officer in the area said the 10-strong Israeli unit withdrew taking their wounded with them, as troops on the Israeli side of the border fired flares to aid their exit. The barbed wire marking the border had been cut, an AFP correspondent reported, and the two blasts occurred in a pine forest several hundred meters into Lebanon. The heavily mined area has seen several rounds of fighting between Israel and Hezbollah. Israeli Prime Minister Binyamin Netanyahu commented on the incident on Wednesday but gave no details. "Our soldiers defend us and our borders, which is what they were doing last night. We will continue to react to defend Israel's borders," he was quoted by military radio as saying.